Calgary, AB – The Calgary Roughnecks Lacrosse Club today announced that due to the National Hockey League’s 2019 Stanley Cup Playoffs schedule, the Saturday, April 13th Calgary Roughnecks game versus the Georgia Swarm has been rescheduled to Friday, April 12th at the Scotiabank Saddledome. The start time for the April 12th Superhero game presented by Pete the Plumber has also been moved 30 minutes to 7:30 p.m. to accommodate out of town fans travelling to the Friday Roughnecks game. 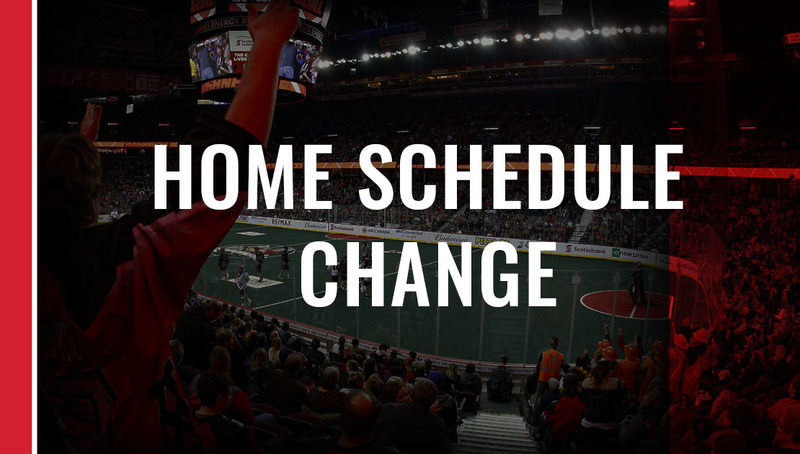 The Roughnecks’ final regular-season home game against the Saskatchewan Rush will remain as scheduled on April. 20th.